I have this commercial sized rice cooket that I use for parties and social events. It can make like 60 cups of rice....hey when you need it, you need it! 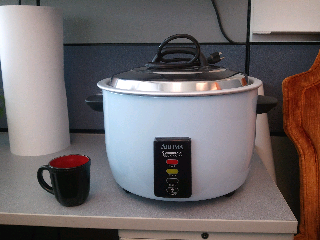 When I bring this into work for pot lucks, I always get teased. and make sweet and spicy dishes.